Jordan has one of the largest refugee helplines in the world, and now answers nearly 150,000 phone calls per month. Since its inception in 2008, staff at the helpline have responded to more than 1.7 million calls, giving support and advice on a range of issues to refugees in the Kingdom. 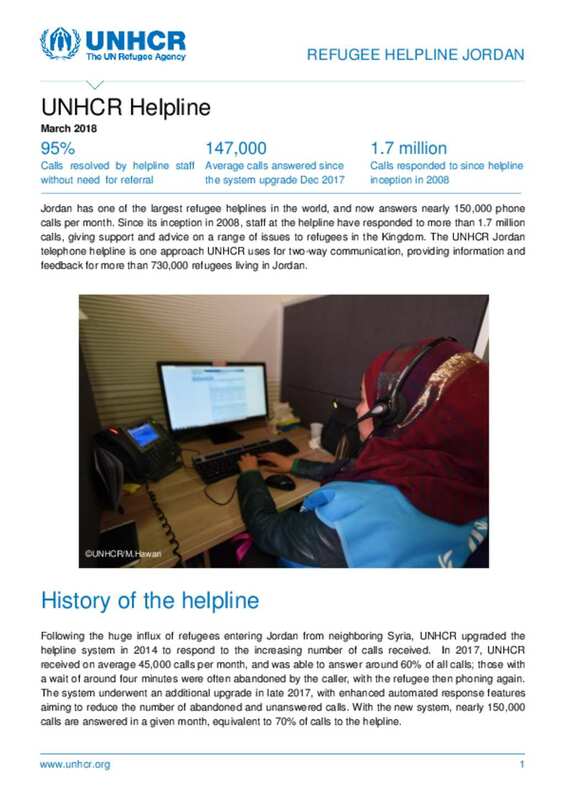 The UNHCR Jordan telephone helpline is one approach UNHCR uses for two-way communication, providing information and feedback for more than 730,000 refugees living in Jordan.